Aerosmith is bringing a healthy dose of rock back to Las Vegas. The Boston chart-toppers recently opened their "Deuces are Wild" residency at the Park Theater — a relatively intimate venue of around 5,000 seats compared to their usual arena and stadium shows. Tickets are moving fast with dates scheduled through at least December. From all indications on opening night, the residency is already proving to be an artistic success as well as a financial one. The setlist has something for everyone, representing different eras of the band. The first half of the show is heavy on Aerosmith's initial 70s classic rock era with songs like "Back in the Saddle Again" and "Sweet Emotion." The show then shifts focus to their comeback period in the 80s and 90s with radio staples like "Love in an Elevator" and "Cryin'". Along the way, a few deep cuts — "Seasons of Wither, Hangman Jury, Kings & Queens — are brought out to keep the diehards happy. 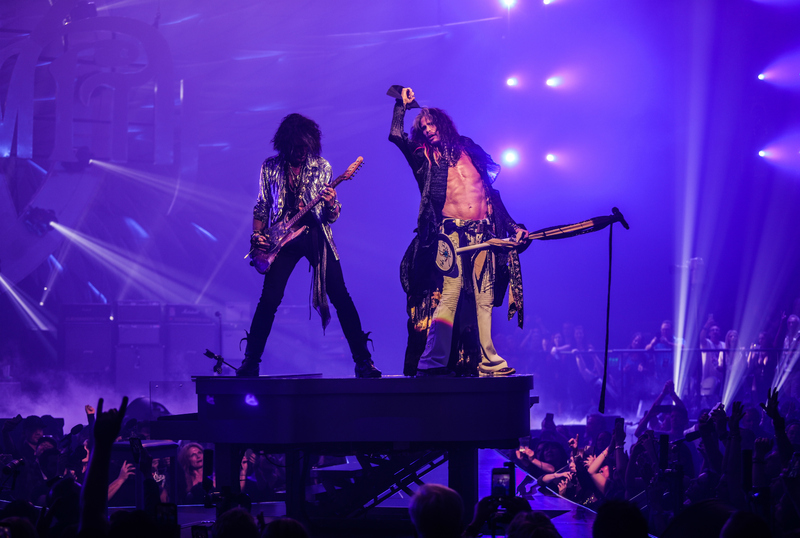 Aerosmith isn't playing it safe for Vegas, and their passion is reflected in their performance. The band — featuring all five original members — is in near-peak form. 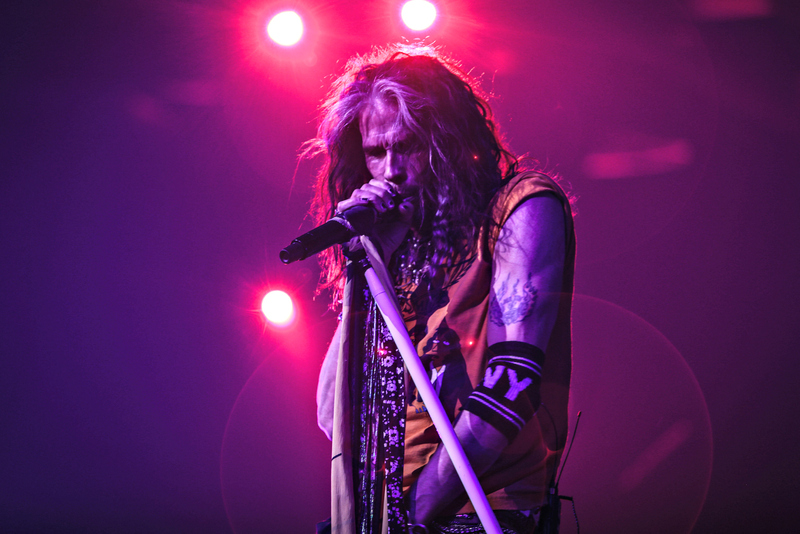 Steven Tyler is a force of nature in the role of frontman. At 71 years old, he look and sounds incredible, still hitting those iconic high notes during the climax of "Dream On." Guitarist Joe Perry, who made headlines last year when he was hospitalized with respiratory problems, doesn't look like he's missed a step at the age of 68. The show makes full use of the Park Theater's incredible stage and sound system. Special effects include oversized stuffed animals that hover from the ceiling during "Toys in the Attic" and a levitating catwalk that reaches out into the crowd during the encore. The only downside is an introductory video that runs 30-to-40 minutes — way too long — piecing together interview snippets and images from the band's early history. Instead of pumping up the crowd, it actually has the opposite effect. Use the time to your advantage by having a few more drinks in the lobby instead. Aerosmith are true rock n' roll legends and one of the hottest tickets on the Strip this year. Book a private jet charter flight to Las Vegas with Cirrus Aviation Services (702-472-9714) and allow VegasGiant (702-476-0001) to secure in-demand seats for you and your party — even for sold-out performances.